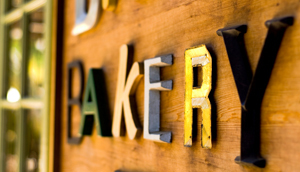 Getting the Right sign is an essential part of getting the right business! With so, so many types of signage to choose from we can help you to decide which choice will be the best choice to suit your needs. The right sign can help you to enhance and establish your brand, attract customers, or simply convey pertinent information to facilitate the flawless execution of an event. We can walk you through what your signage options are, and based on your goals and your budget, help you get the greatest return on your marketing investment. If you do not come to us with your own design, our graphic designers are available to design your sign, or revamp your image with their marketing and branding expertise. Do not under estimate the power of the right signage! In Port Washington, Manhasset, Roslyn, Great Neck and all of Long Island, your customers demand a lot from you! Start off on the right foot with a fabulous sign- leave it up to Chief Signs!